Abstract: Picture books historically are well-utilized tools to engage students in language comprehension/expression, and pair well with interactive apps with similar contexts. 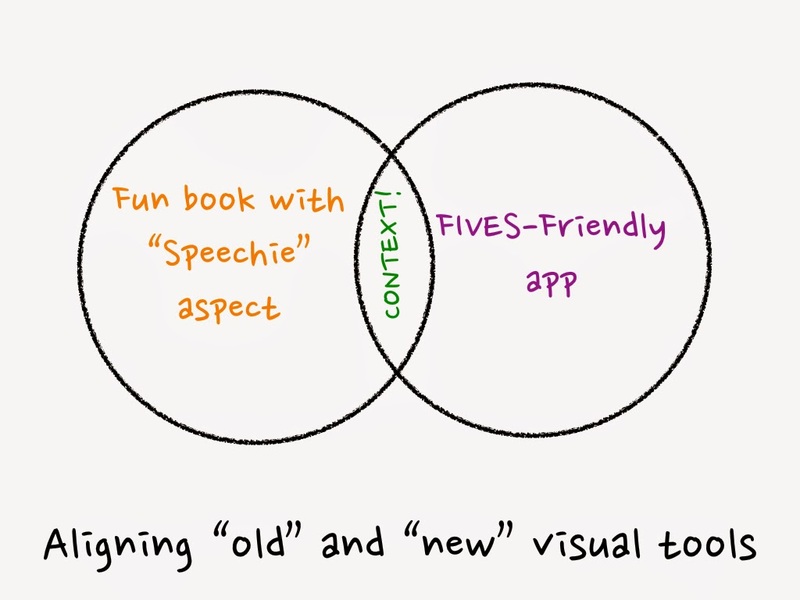 Revisiting a popular topic from ASHA 2012, this presentation describes the overlap between books and apps for various ages and the applicability of these visual tools toward intervention. 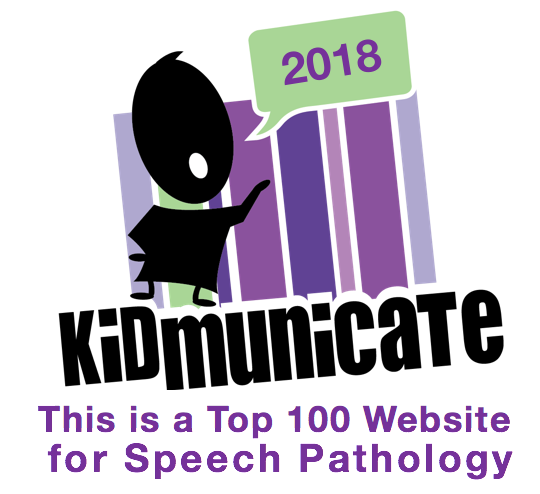 The contextual overlap of books that contain key language structures, elements or strategies, and apps that are Fairly Priced, Interactive, Visual, Educationally Relevant, and Speechie, or useful for targeting speech and language objectives. -Time concepts: What hour is late? -Narrative structure: the story can be mapped as a complete episode, with successive attempts to solve a problem. -Body language and emotions: the Pigeon is always expressive, from hopeful to furious to drowsy. -Figurative language and reading intent: the Pigeon tries to fool us with moves such as, "I hear there's a good show about birds on TV tonight. Should be very educational." This wonderful, entertaining book can be paired with apps that have students interact with the context of bedtime. There are a number of apps with this context (e.g. Pepi Bath Lite), but let's look at PBS Kids Daniel Tiger's Day and Night ($2.99). In this app (for about grades K-1), kids can navigate the PBS character through all the steps of getting ready for bed, in the process developing familiarity with a daily routine, sequencing skills, temporal and causal language, descriptive language, and rhyming (through the use of a song). The app has a whole separate set of routines for the morning, providing a context for a "same but different" discussion. For older students (who would "get" more of the nuances of Willems' book), you could consider using an open-ended app such as My Story ($3.99) to create a book about bedtime routines, or at a higher level, a book about other arguments for staying up late! 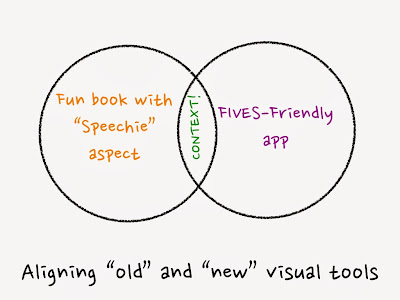 The session will be covering books and apps (not these ones, these were a preview) for kids from early-late elementary and into middle school, but is meant to be generalized to whatever books and apps you'd like to choose. Hope to see some of you on the 14th! Itching to upgrade? I did! ASHA 2013 Update- from a Techie Point of View!